Named for “the face that launched a thousand ships,” this rare autosomal lineage marker was carried in ancient times all over the Mediterranean and survives in many island populations today. Notable appearances are in Cyprus, the Balearic Islands and the British Isles. The rough center of diffusion is ancient Troy, site of one of the world’s oldest civilizations and longest wars. Top matches today are Cyprus, Greece and Italy. 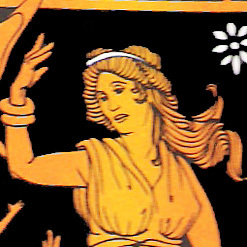 Models of history associate the Helen gene with Greeks (often called Hellenes), Italians, Turks, Sephardic Jews, certain North Africans, Celtic migrations, the Rom (Gypsy) people and modern-day Melungeons. For unknown reasons, it makes a modest appearance in India but is minimally evident east of there. Its highest concentration is in the Lepcha, the aboriginal people of the Himalayas, where it rises to a level of 11% or 1 in 9 persons. It is found in as many as 1 in 25 Turks, Greeks or Melungeons (all of whom show the same frequency). Similarly in Northern Ireland, another island environment, it is 1 in 25 carriers. On the opposite end of the scale, where scarce, it is present in only 9 out of 2500 subjects in certain Japanese and Chinese. It has not even been reported in many African, Chinese and Indonesian populations. How rare is it all told? Its worldwide occurrence is 0.8%, concentrated in Mediterranean and Mediterranean-influenced populations. 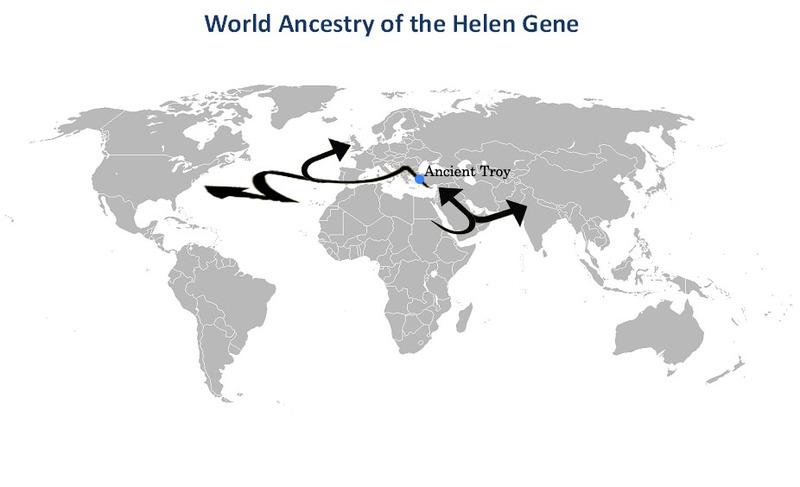 A true outlier, the Helen Gene has little trace in Africa and survives selectively in small amounts in island populations, Greek/Turkish people and Melungeons. It has an Indian branch but is hardly found farther east.